After reading Alli’s guest blog post about Wonderwool last year I was determined that this was a show that I had to visit! Happily, the London Guild of Spinners, Weavers and Dyers organised a coach from London this year and I was quick to secure a place. So close to being finished my Affinity shawl! This was my first trip to Wonderwool Wales and it definitely did not disappoint! The show is held in a series of large, agricultural barns in Builth Wells – a bit different from the livestock pens at the auction mart where Yarndale is held. Walls are put up for the stands and the wide spaces of the aisles mean that even when it’s busy there is still lots of space to move within the show. It was a welcome surprise. Also a surprise was the food! Definitely the best food I’ve ever had at a show. I had the most amazing Scotch egg for lunch (I’d heard the ones at Wonderwool were legendary) and local ice cream for pudding. Delicious! Since my family aren’t as thrilled with yarn as presents as I would be, I took them home some local cider, cheese and meringues they were very well received. What a friendly show! It was a pleasure getting to chat with so many vendors and I was delighted to see Wendy Fowler wearing her own Shadowlines! But what about the show, Louise? I hear you ask. 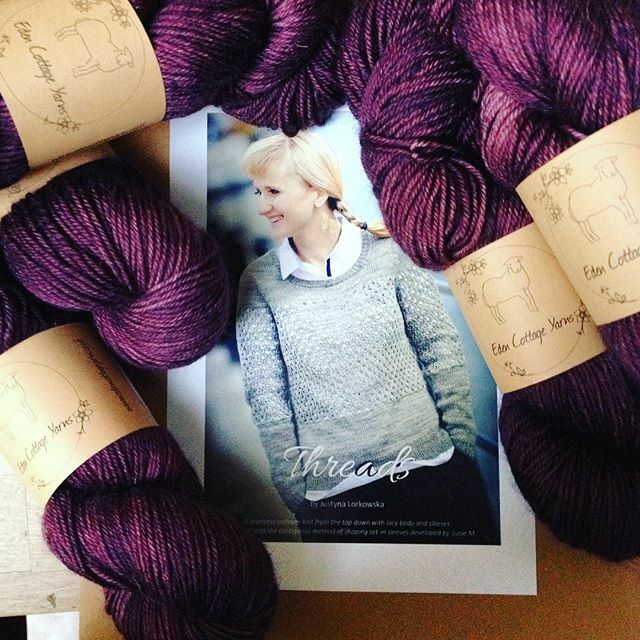 Tell us about the yarns! Well… they were fabulous, of course. Wonderwool’s focus is definitely on the fibre arts and there were many, many options for spinners in amongst the yarns. In fact, I came home with a beautiful resin spindle from Wildcraft and a renewed commitment to get spinning all the beautiful fibre I already have at home in my stash! The relaxed and friendly atmosphere of the show made for lovely catch ups with vendors I already know. I had a lovely chat with Sarah from Purlescence who had managed to get her hands on some Faery Wings by Fyberspates! I was also able to admire Sarah’s Flight of Colour in real life ahead of the KAL starting May 1st. I’m now determined to do one using the same Party of Five pack in teals from SweetGeorgia Yarns. While I’m still mulling over what colour to pair with it I also rounded out my ChiaoGoo interchangeables set with a few more tips. It was also lovely having a catch up with Caerthan from Triskelion Yarns, and to finally see the new colours of Elmet Aran and 4ply. I took a skein to swatch in a deep, rusty red. The yarn is a blend of 75% Bluefaced Leicester and 25% Brown Masham. I am completely taken with yarns with Masham in them at the moment because of how the colour changes and has more depth. I had an initial taste using Baa Ram Ewe’s Dovestone DK for the Maltings cowl and now I can’t seem to get enough! As for purchases, well you know I couldn’t leave all the pretties there, right? I got some local Cambrian Welsh wool in a lovely, soft colour palette, as well as some stunning handspun since I can’t spin fast enough myself! I’m keeping it on my desk for inspiration while I get my head around designing for it. Plus, it’s just beautiful. In fact, I saw a lot of natural coloured yarns which have been giving me all kinds of ideas! These macaroon coloured yarns from Willow Knits look good enough to eat! It was also fab to see Victoria and Eden Cottage Yarns with her colours looking very at home in rural Wales. Coastal Yarns also had a soft, spring palette. It was definitely a theme I noticed throughout the day, including at Willow Yarns where their yarns reminded of the colours of a delicious box of macaroons! My biggest splurge of the day though was with Five Moons. A handful of variegated beauties from bright to autumnal, as well as some tiny, charming mini skeins packs. I feel like they’re sweeties – you can’t have just one! Aside from the rollicking swaying to and fro of the mini bus along the winding Welsh roads (I think most of us put aside our projects until we were back on the wide and straight motorway! ), it was a super show and fantastically friendly. Even down to the staff who were shooing us out the door when the show closed at 4:30pm! I definitely hope to get back again another year. 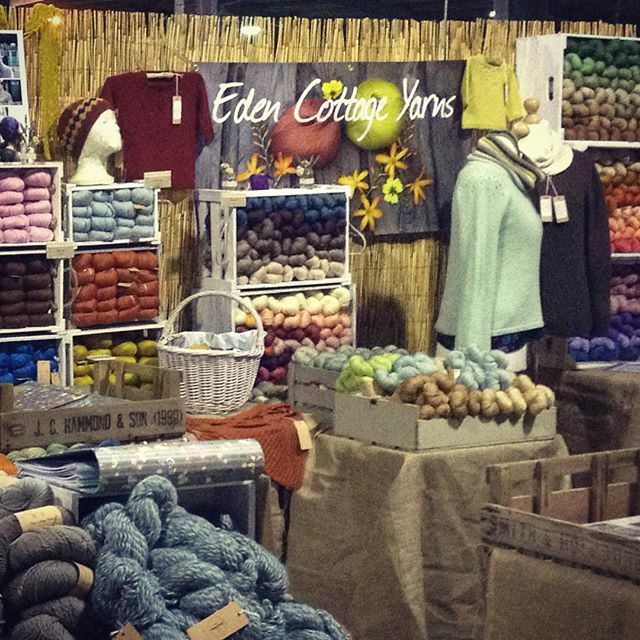 Going to a yarn and fibre show is incredibly fun and exciting! There are so many amazing vendors to see and discover. It’s a great way for us to immerse ourselves in our craft. 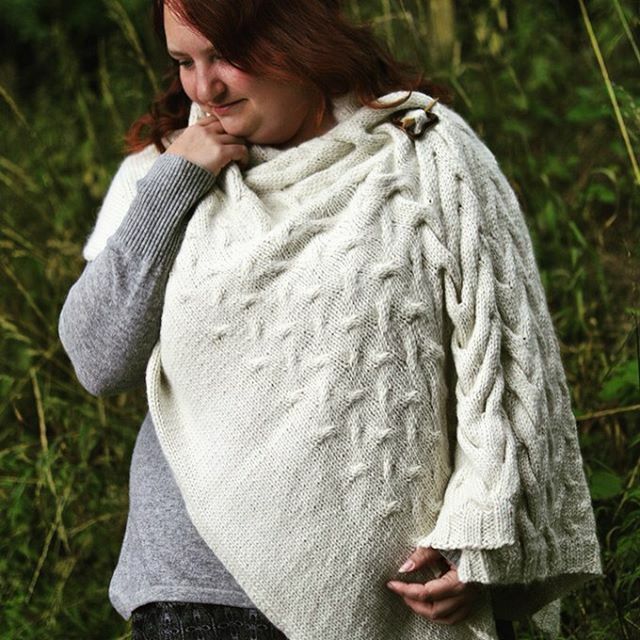 Maltings is a gorgeously textured cowl inspired by barley grains. Shaped to fit, it is narrower at the top and gently flares out to sit perfectly on the shoulders. I wanted to create something I’d love to wear to a show – pretty but practical. Cowls keep us warm on a cold morning, stay neatly out of the way when we’re petting yarn, and can be folded up into a pocket as the day warms up. Perfect. I do love to collaborate with others in my work, whether that is with yarnies, bloggers, stores, other designers or other wonderful knitterly people. To start this year in style, I have been working with the lovely team at Unravel to cook up something special for this, my favourite, yarn show. Knit Play Colour love at Yarndale! No, really. That’s the word that comes to mind to describe an amazing, woolly time in Skipton at Yarndale last weekend. Now that I’ve had time to catch my breath, not only from the long drive back but also from launching the book yesterday, it’s been lovely to look back at the photos and re-live the weekend all over again. No, I’m not really knitting on the motorway! We were stopped for an hour due to an accident. The engine was OFF! It was a very early start from Twickenham on the Friday morning and we were making good time until we came to a closure due to an accident. 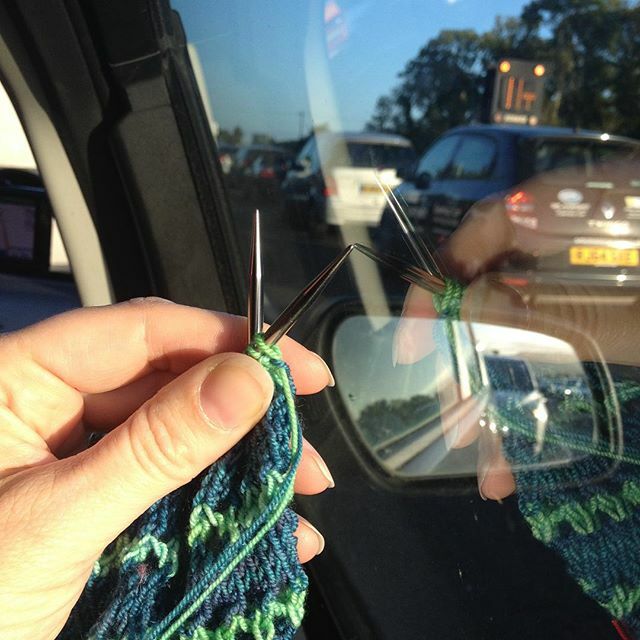 Is it only us knitters who welcome the opportunity to come to a full stop on the motorway? The rest of the weekend was so busy, this is probably the most knitting I accomplished over three days! This is just a small portion of the stand filled with Victoria’s yummy yarns! 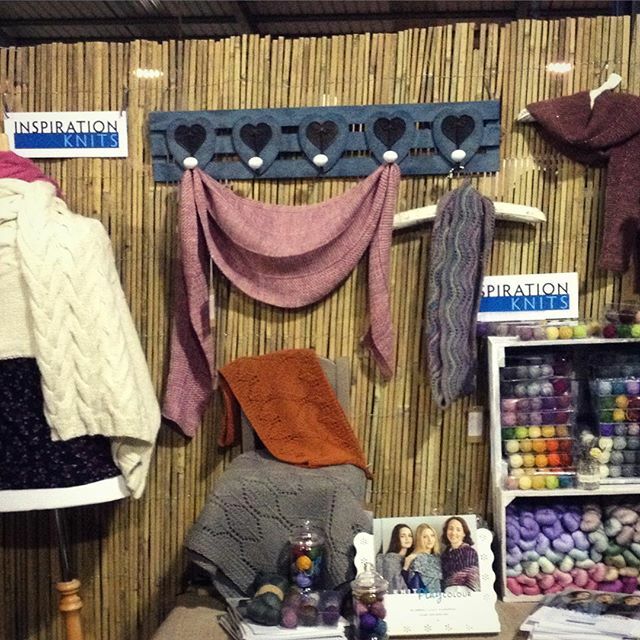 Victoria was launching her collection at Yarndale – Drift (more on that in another post as it deserves it’s own!) – but was kind enough to offer me a little corner of her stand where I set up for the launch of Knit Play Colour. Victoria has also arranged for samples from the book to be knit in her own yarns, and they were wonderful! It was hard not to get carried away showing them off and helping people choose yarns and colours to make their own projects. The rest of Yarndale was a bit of a blur, to be honest! I spent so much time chatting with many of you and I can’t tell you overwhelming it is to finally have the book out there in the world and see your response to it. Thank you to everyone who stopped by, tried on the garments, picked up a book and gave me good wishes. Thank you! 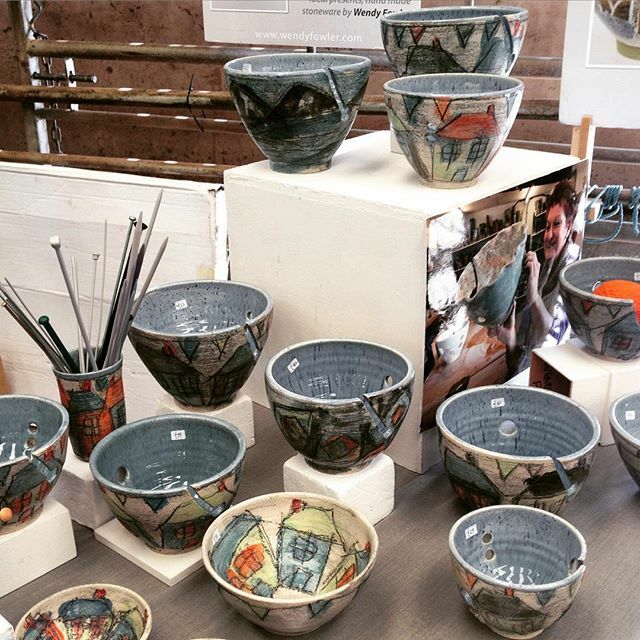 One of the few things I managed to get a picture of – these gorgeous yarn bowls! My Yarndale splurge – time for something for ME! It’s such a “Louise colour” isn’t it? I figure after knitting all of those accessories that surely I can take a break with knitting a garment? I’m looking forward to the kids’ half-term, when I’ll be knitting this. If you were there, I hope you enjoyed Yarndale as much as I did. Look out for more yarnie confessions on Instagram, as I get myself organised again! PS if you pre-ordered Knit Play Colour, all the pre-orders have now been shipped. Yay!